Ali Ibrahim, fsi is the Director in charge of PV/PMS Directorate. Prior to his promotion to the Director of the Directorate in January, 2016, he was the Deputy Director, Technical Services in the office of the Director-General (NAFDAC). He attended Ahmadu Bello University Zaria and obtained Bachelor of Science Honours (Pharmacy), Second Class Upper Division in June, 1983. Ali Ibrahim, fsi also attended Executive Intelligence Management Course 3 (EIMC 3) and was conferred with the fellow of security institute (fsi) on satisfactory completion of the course. He is certified as Quality Management Systems Lead Auditor by British Standard Institute (BSI). He is also a WHO trained Senior Pharmacovigilance Expert. 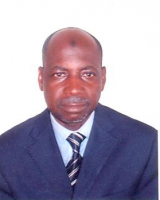 Ali Ibrahim, fsi served as Project Manager for NAFDAC/WHO/DFID Survey on Quality of Medicines 2005, QAMSA Study, Survey on Quality of UNCoLSC, NAFDAC/USP Survey on Quality of Antimalarial Medicines and Survey on Quality of MCH Commodities. He was offered appointment by the National Agency for Food and Drug Administration and Control (NAFDAC) in August, 1994 as Principal Regulatory Officer. In NAFDAC, he earned Promotions and Headed many Divisions of the Agency. The Divisions he worked included Technical Services in the Office of the Director-General (NAFDAC), NAFDAC/WHO/DFID Baseline Study Project Office, FCT-NAFDAC Office, Abuja, NAFDAC Port Harcourt Inspectorate Office, Drug Registration and Regulatory & Consumer Affairs. Ali Ibrahim, fsi was the Chairman of NAFDAC Anti-corruption and Transparency Unit before his nomination for Executive Intelligence Management Course (EIMC) 3 in 2010. He is a member of many local and international technical and scientific committees including Technical Working Group of African Medicines Regulatory Harmonization of NEPAD. Ali Ibrahim, fsi has visited many countries including USA, Australia, Austria, Germany, Israel, Taiwan, Thailand, Singapore, South Africa, The Netherland, Sweden, Nepal, Cote D’Ivoire, Tanzania, Kenya, Zimbabwe, Ethiopia, United Arab Emirates, China, Ghana, Oman and Uganda.